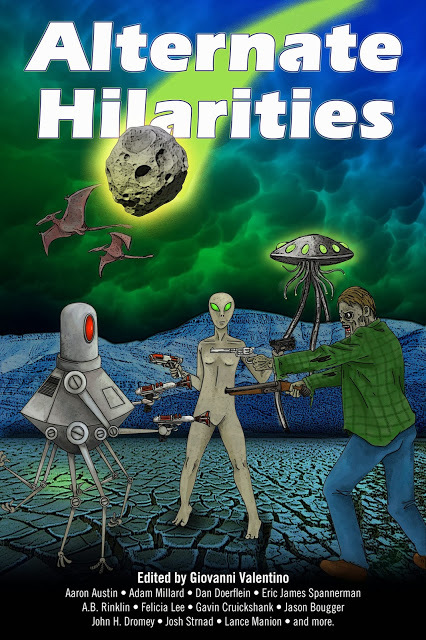 My short story “Small Change” is one of several chuckle-a-minute tales collected together in Alternate Hilarities Vol. 1 from Strange Musings Press. This entry was posted on Thursday, May 1st, 2014 at 9:53 pm	and tagged with Amazon Kindle, Amazon.com, Anthology, E-book, E-books, Fantasy, Humour, Paperback, Small Change, Strange Musings Press and posted in Alternate Hilarities. You can follow any responses to this entry through the RSS 2.0 feed.